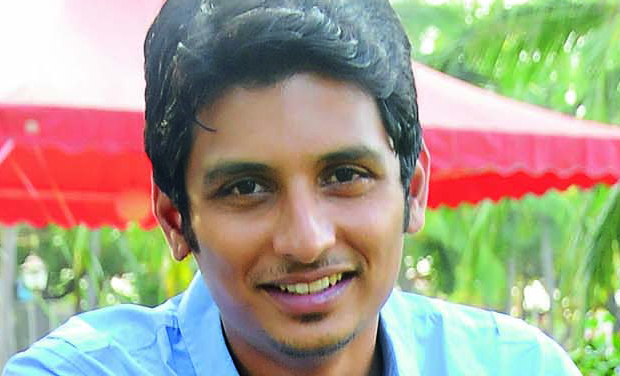 Cinematographer Ravi K. Chandran’s first directorial venture Yaan has been in the making for more than a year. The film is now set for release and the audio, released recently, composed by Harris Jayaraj, has already garnered rave reviews. About the reasons for the movie’s delay, he says, “When we reached Morocco the first time, the climate was not suitable for shooting, and then we had some visa issues. We decided to wait and shoot there in a proper way. The movie has come out really well, and it will be worth the wait,” he quips. The movie is about how a happy-go-lucky guy goes to Morocco, and gets trapped in a problem. The director says that it deals with very sensitive human rights issues. He didn’t reveal anything more as it’s too early to talk about it. The film is produced by Elred Kumar. Thulasi Nair, the female lead in the film, plays the daughter of an army officer in Yaan.